Business email is a process of communication with clients and is a formal way so that the word seems polite and also impressive. There are many things a mailer need to keep in mind while writing the email. For a contractor, the topic is highly important because there are lots of competition in every field and thus a more effective mail can enhance your projects. Generally, business email requires secured hosting so that the privacy does not compromise. Like the open source email service, business emails also contains the limited space to be used. If your requirement is more than the standard one then it would be chargeable. There are many hosting facilities provided by the email service provider companies. Somewhere you might be charged some amount for such facility. The charges are categorized in several slots. That means if the hosting data is less then you definitely would ask to pay the less amount and if the hosting requirement is high then the charges applied would also be high. Mention the subject of the mail in brief. Mention the person name as well as organization's name in the mail. You should take all the required people in a loop so that the message conveyed to all people who are involved in the relevant process. The full email should be written in compact form. There should not be any unnecessary words written. Point over which you want to focus should be in bold form. Attach the signature after writing complete mail. In the footer section, there should be all the active communication sources. Valid alternate email address, active mobile or landline numbers, skype id should be there. Not mandatory but if possible then attach few links to social media like Facebook, Instagram etc. Generally, email services are open for all and that contains some professional as well as non-professional emails as well. Some of the features are limited to open-source email services. The email services contain a different domain where highly professional companies come within and grab the best features of business email. Business email is only used for staying connected with others professionally. Billing requirement, project requirements, process queries and many more things are associated with a company. Professionals are opened to send the requirement, billing and other related concern or queries to the relevant people. 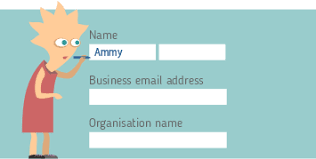 If you are requiring the same facility of how to create a business email then you can contact the relevant person who can help you for the same.